Womens 100% cotton poplin shirt dress. From the latest Gresham Blake collection, celebrating 20 years. 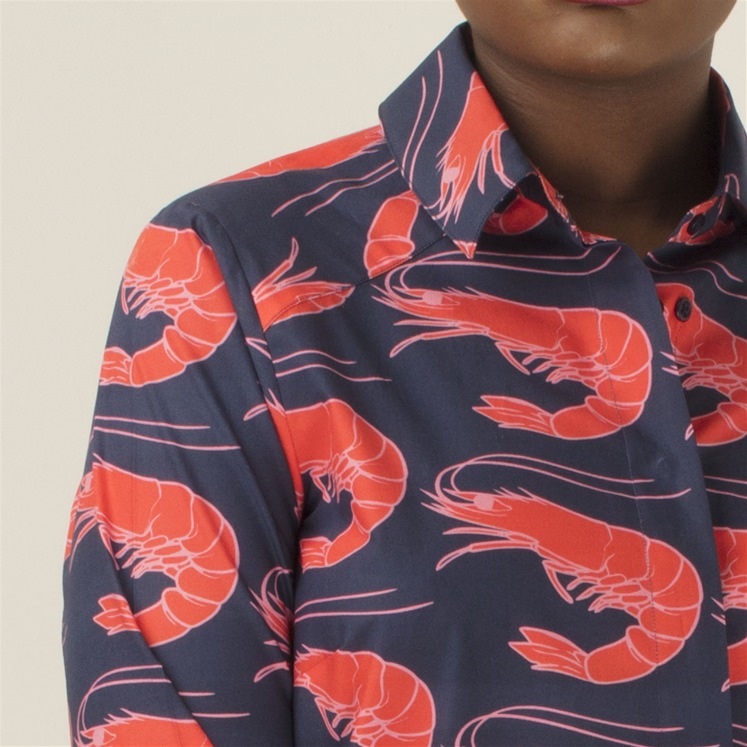 Featuring our popular Shrimp design, this limited edition shirt dress can easily be dressed up or down. Just add heals or flats.